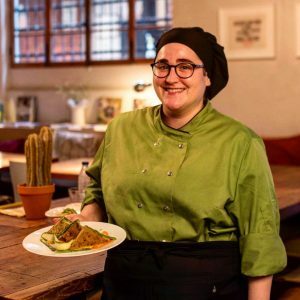 The recent rise in great vegetarian dining spots in Barcelona has made coming to the Catalan capital even easier. No longer do veggies have to endure the humiliating yet sadly common practice of picking out the chorizo from their paella, eating the cheese around the ibérico ham, or calmly telling the waiter that no, chicken is not an acceptable meat substitute as it is in fact still, meat. Below are five of our favourite places for vegetarian grub in the city’s Gothic Quarter, or El Gótico. 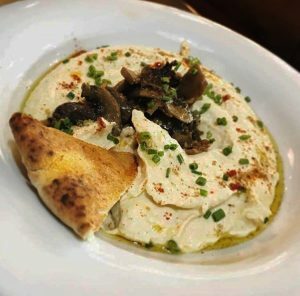 Not only does this vegetarian bistro offer a range of tasty and original home-cooked dishes, but they also get a thumbs up for their ethical footprint. Using organic and 100% local ingredients, Rasoterra only cooks with food that has travelled no more than zero-kilometres. They have a wine menu that includes wine of a Denomination of Origin, as well as an impressive dessert offering. Oh, did we also mention that they were voted the best vegetarian restaurant in Barcelona?! Govinda first opened its doors in 1986 as a Hindu vegetarian restaurant and has been a veggie favourite ever since. With traditional decoration and dishes made from Hindu herbs and spices, Govinda prides itself on cooking food that is both tasty, and healthy. We recommend going for their lunch menu that includes two dishes, a drink, and a dessert for just €11.30. A great price for the quality of the food here. Plaça de la Vila de Madrid, 4. With two more restaurants in Barcelona’s El Raval and El Born quarters, Vegetalia offers diners a remarkable menu of fresh and seasonal dishes, guaranteed to satisfy all palettes. With fresh juices to complement each and every dish, revel in the fact that most of the veg on your plate has also been grown in Vegetalia’s very own eco garden. Pro tip! 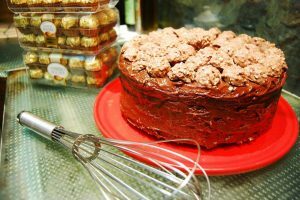 You need to try the carrot cake- the reviews don’t lie. Just because you are in Spain, doesn’t mean you can’t eat Italian. 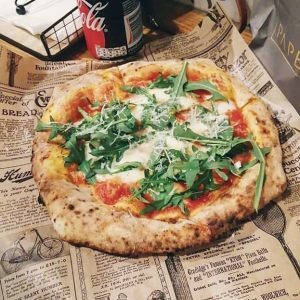 Pizzeria Da Nanni offers hand-made and authentic Neapolitan pizza and other Italian specialities, all with a great range of non-meat options. They often add daily specials to the menu, constantly tweaking their dishes to try new things. But above all, the pizzas here are beyond affordable for the centre of Barcelona. 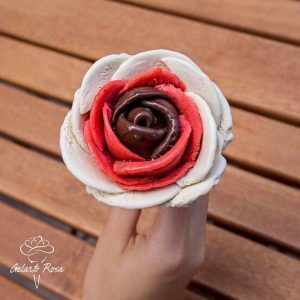 Artisan, organic, and most definitely insta-worthy, this heladería sells ice cream in the shape of a rose! With another shop in Budapest, there’s a reason why these ice creams have made it across the globe. They also offer vegan and sugar free flavours, as well as gluten free options. Why not get one for Sant Jordi, Barcelona’s traditional festival of books and roses? Carrer de la Tapineria, 6. Just a stone’s throw from the Gothic Quarter is Barcelona’s Raval district, also home to Sésamo, a tiny restaurant hidden in the neighbourhood. With a slogan that promises food for your body and your mind, the restaurant dedicates itself to using only the best seasonal ingredients in its cooking. The result? Innovative global cuisine influenced by spices and cooking styles from all over the world. 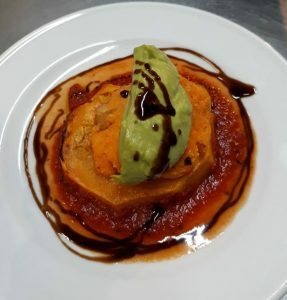 They also offer a strictly vegetarian tapas menu, and puddings which should be tried at all costs! Carrer Sant Antoni Abat, 52.